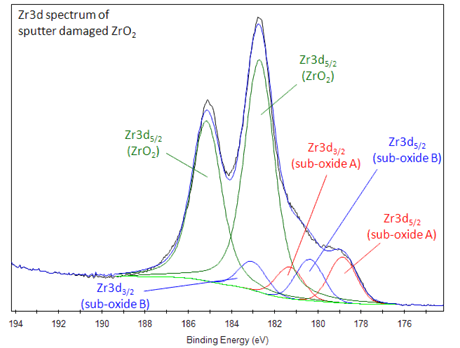 Zr3d region has well resolved spin-orbit components (Δmetal=2.4eV). Spin-orbit splitting changes with chemical state. Zr3d peaks for Zr metal have an asymmetric peak shape. 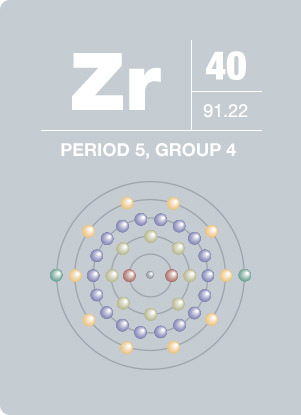 The same is true for conducting zirconium compounds, such as ZrB2. The oxide is reduced to sub-oxides by argon ion bombardment. 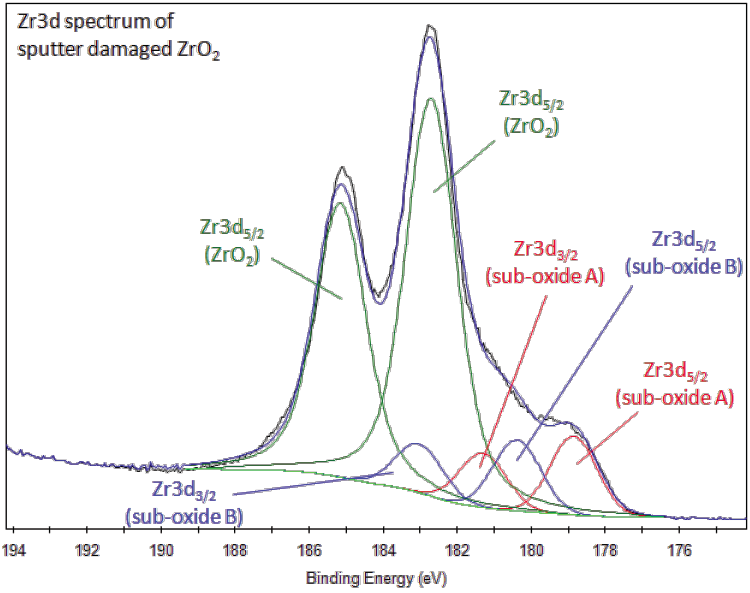 Zr is a reactive metal and Zr is usually found as oxide, ZrO2. Commonly seen as minor components in Hf-containing compounds. At elevated temperatures, this silvery white metal can ignite spontaneously in air. It is found in S-type stars and has been identified in our own sun as well. Zirconium is used in flash bulbs for photography, in explosive primers and in lamp filaments. It is also used as the main ingredient of cubic zirconium stones. Similar in appearance to diamonds, cubic zirconium stones are sold as an affordable alternative to the more precious diamond. Although zirconium does not pay a biological role, human tissue does assimilate the element, making it suitable for some artificial joints and limbs.